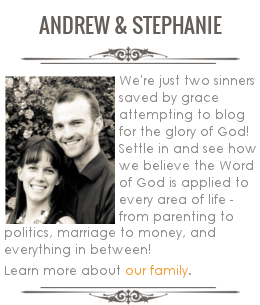 WHO CAN STAND: Homeschool Conference LIVE BLOG! Wow - we are going to try something new and exciting around here. All day today and tomorrow is the Ontario Christian Home Educator's Convention (OCHEC) and we are going! We're SO excited that Voddie Baucham is one of the keynotes, as we know he will speak the truth - even when it hurts! We'd love to take you all along, but instead we'll try and bring a little bit of the conference to you! Over on our Facebook Page, we'll be posting updates throughout the day with inspiring tidbits from the speakers, little recaps, pictures, what we buy, and anything else which we think would be interesting! We think it will be fun and hope you enjoy it too. If you happen to be at the conference, feel free to chime in and share what you're learning! If you're nowhere near Ontario, then we're really doing this for you - so you can get a little piece of the encouragement too! So come on over to the WHO CAN STAND Facebook Page and join in the conversation! We really like Voddie too. I've been reading a few of your articles, have really enjoyed them, thanks!